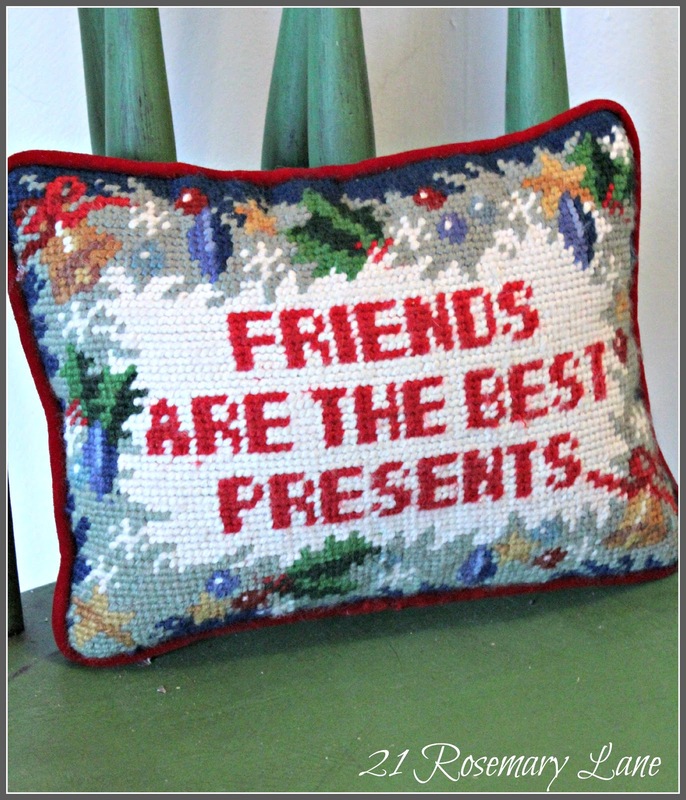 At the end of last year's Christmas season, I was in a darling little country shop near my house which has so many beautiful items in it I could just roam around in there for hours. Well they always have wonderful after Christmas sales and this nativity was no exception. Originally it sold for $80 but was reduced down to a very affordable $35. And they had two sets so my sister Kim picked up one for her home. This year as I was deciding where to display my beautiful nativity, the place which immediately came to mind was in the front entry to our home. I placed two lit holly trees, also from the the same darling store, as a backdrop for the nativity. 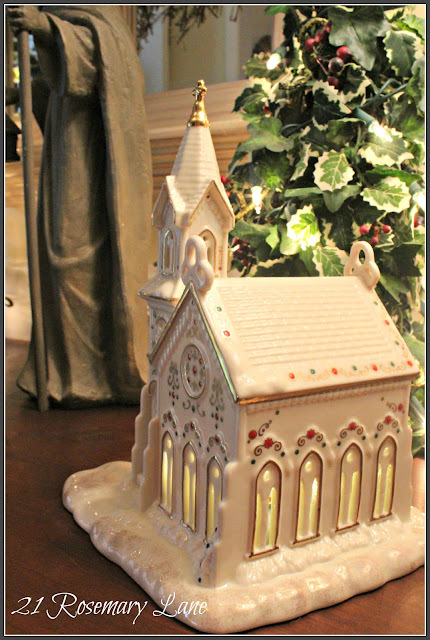 Adjacent to the holy family I placed a small lighted Lennox chapel which was a Christmas gift from my mother last year, to signify the church of Christ. 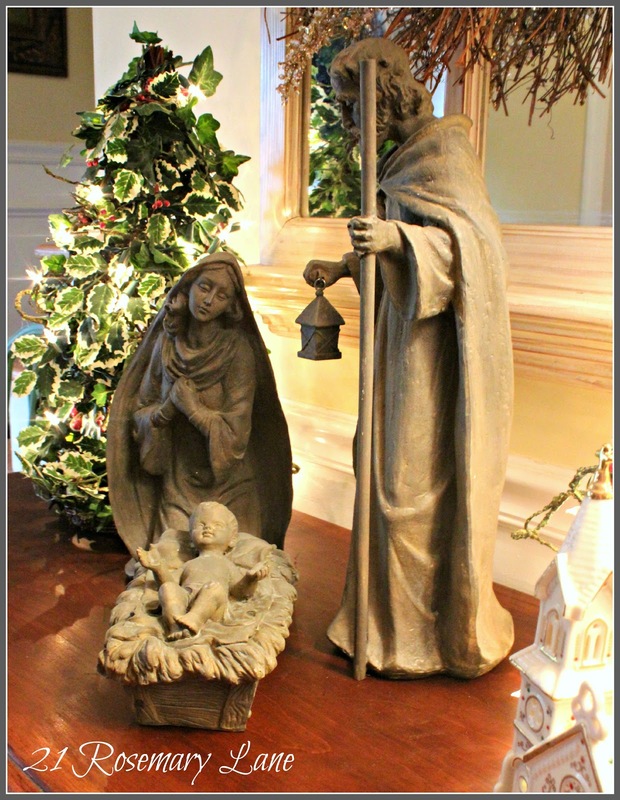 I think the entry is the perfect spot for this beautiful nativity, after all this is the reason for the season. 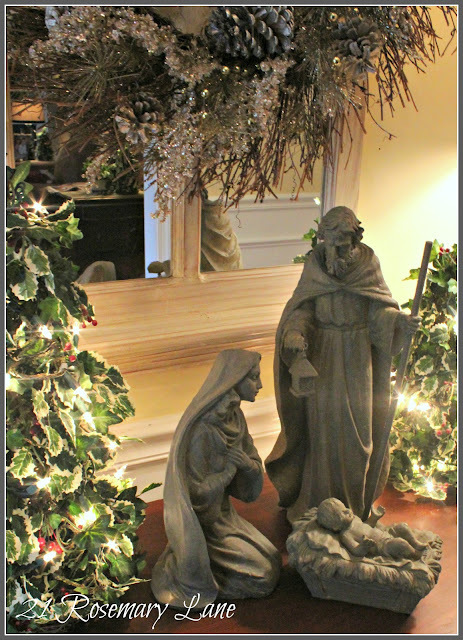 Where do you usually display the nativity in your home? 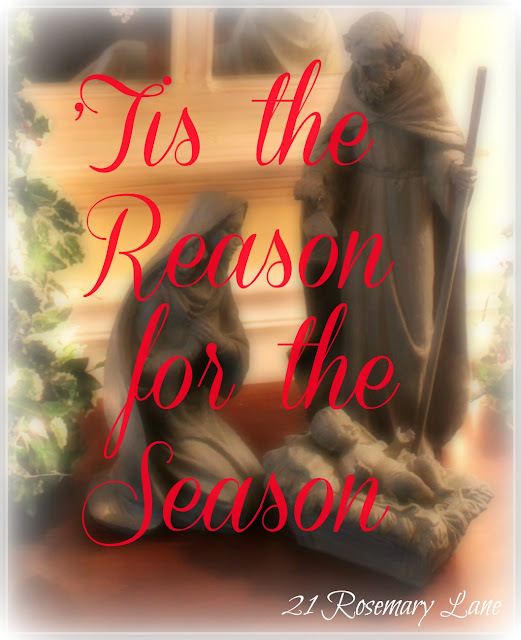 Wishing you a blessed Christmas season. What a beautiful nativity set! I've been looking for one for a long time. All I can find are ones that are 'cute' or poorly crafted. I love nativity sets. I have six and counting. This one of your is very nice. Love it. It's beautiful! 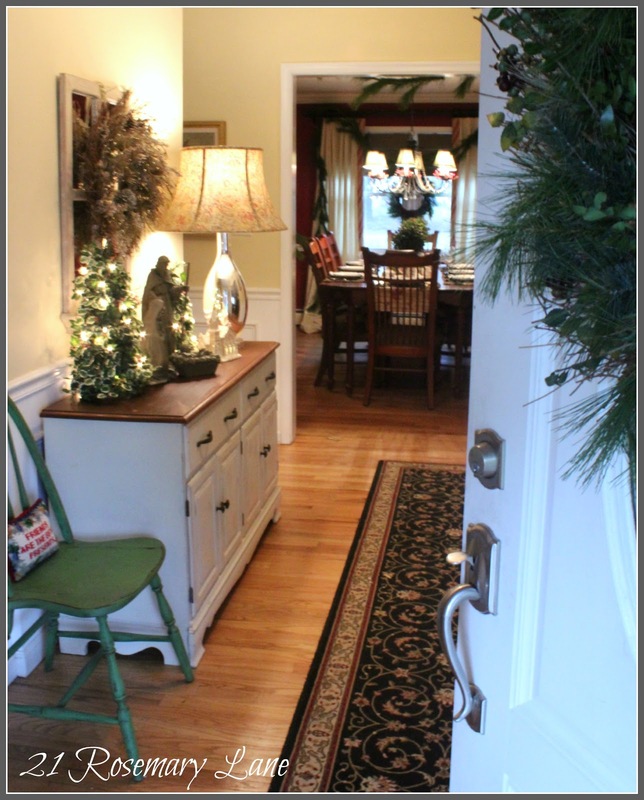 I love the way your home is decorated! What a beautiful nativity, Barbara! And the Lenox church is gorgeous! You home has such beautiful decor! 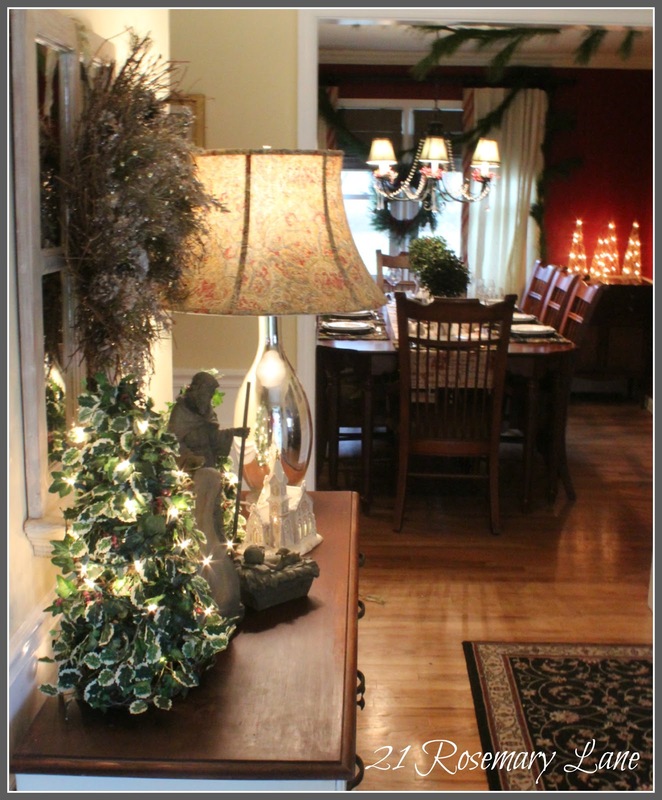 I would love to find some large pieces like yours to do a scene on the mantel next year! That's a great Nativity, and you have it displayed beautifully. 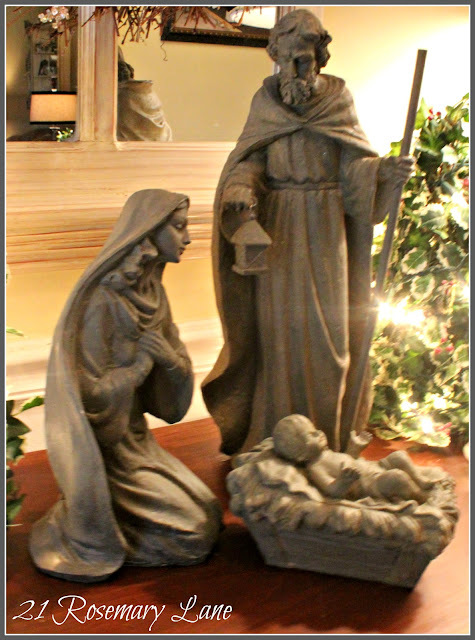 Your nativity is so lovely and I love it in the entryway! So beautiful! Visiting you from Cowgirl Up link party. 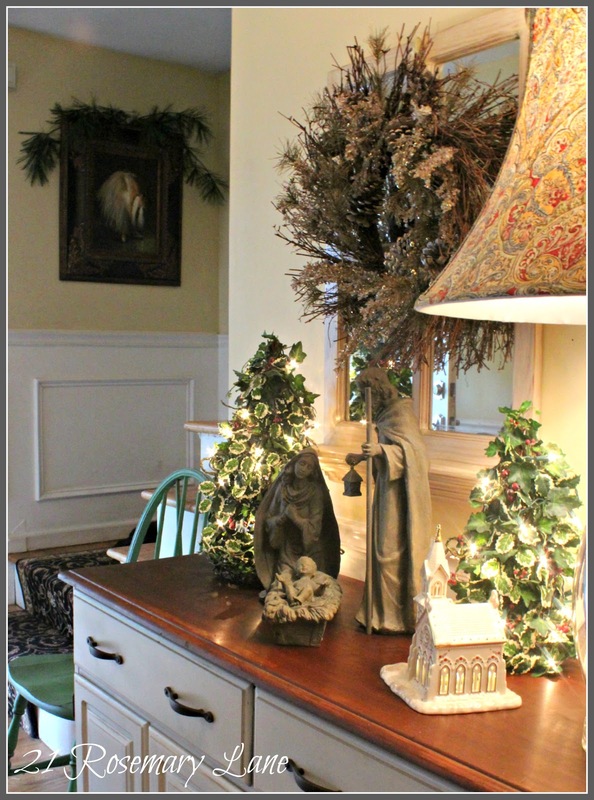 I know I'm supposed to be looking at the nativity but I can't take my eyes off that cute green chair! It's perfect there!! I love nativity sets, yours is so pretty. I'm looking for one too just can't seem to find one that I like! Your home is so beautiful! The nativity, in all its simplicity, is absolutely stunning. You have displayed it beautifully. Thank you for sharing! I love your displays. You have a wonderful talent for arranging things. 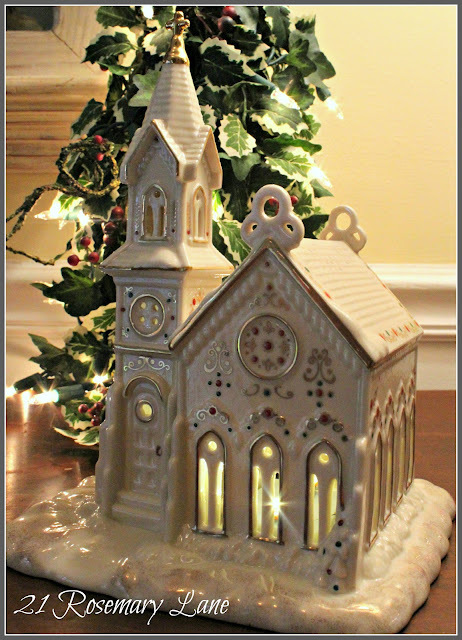 Your nativity set is beautiful and you found a great spot for it! 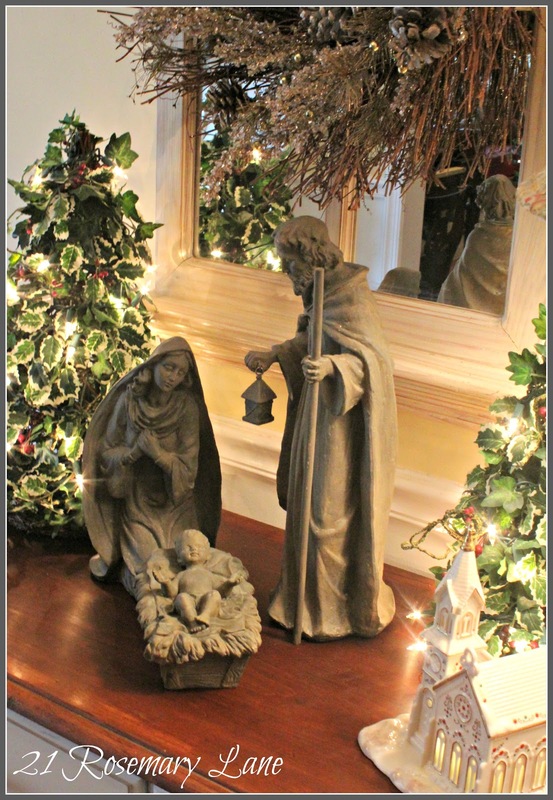 What a beautiful nativity Barbara, You found the perfect spot to display it! I love your holly trees too!